You'll be set with the Grand Prado Night Stand at your bedside. The piece carries a warm cherry brown finish and features pine solids as well as cherry veneers, a combination that evokes a sense of sophistication. 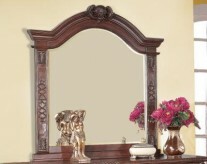 In addition, the intricate carvings add just the right amount of thoughtful detail. 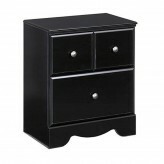 Plus, the drawer and two doors are great for keeping books, magazines, pens and alarm clocks. 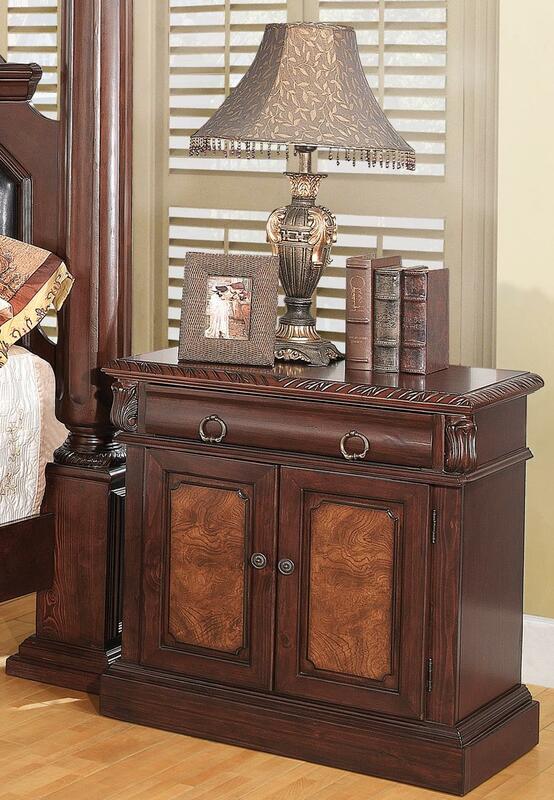 With a wealth of elegance, this bachelor's chest is sure to please. 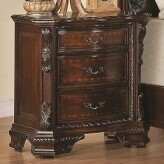 Furniture Nation is proud to offer the Grand Prado Night Stand online. 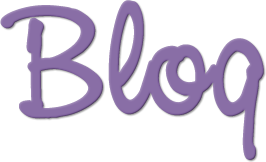 We serve customers across the DFW region including Carrollton, Richardson, Lewisville and many more. L31" x D18" x H31"